At BonLook, we believe eyewear should be as fashionable as it is functional. We’ve got an eye for detail and we’re passionate about using premium-quality materials. Our ever-changing collection of frames is designed here in Canada. Our goal is to make it easy, accessible, and fun for you to change up your eyewear as often as you’d like. 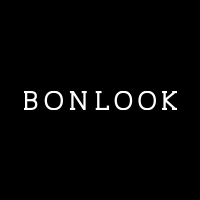 For more information, visit bonlook.com or drop by our new store at Chinook Centre. Our team of stylists & opticians can help you find the perfect pair of glasses. See you soon!